« Droid: Do Robots Get Lost? 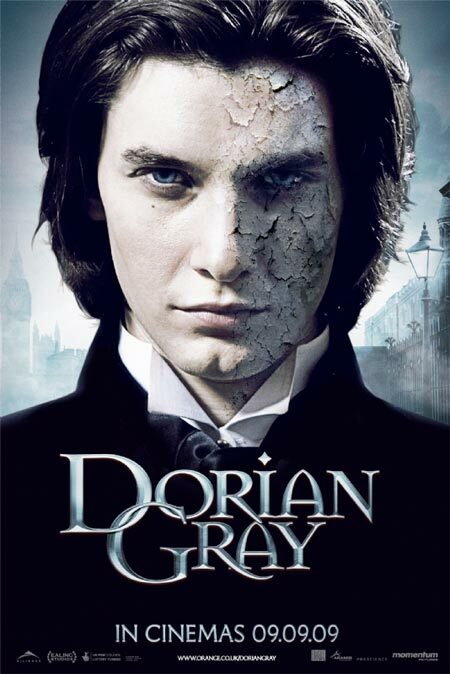 This is a poster for the movie Dorian Gray. I haven’t seen this movie, but I know the story it’s based on well (it’s one of my favorite Wilde stories). I think this is a very interesting poster. At first I wasn’t sure that I liked it, but it’s growing on me. What really works for it is that the “painting” half is clearly evoking the feel if old paintings. What doesn’t work is that it feels like a painting that’s aged, as paintings that aren’t preserved like the Mona Lisa do, and not like a painting of a man who is aging. Realistically, paintings take much longer than one lifetime to show that much wear. The issue in the story isn’t that the painting is decaying, but rather that the image in it is aging and dying as the man outside remains exactly as he was the day it was painted. Still, I think it works as a still piece of marketing for the story. I have no idea if the movie was any good or not, but I will say that I think that the marketing team behind this one did a great job. It’s difficult to evoke what is actually happening and this gets the idea across effectively, even if it isn’t technically accurate. This entry was posted on December 21, 2009 at 12:00 pm	and is filed under Entertainment. Tagged: celebrity, dorian-gray, movie, poster. You can follow any responses to this entry through the RSS 2.0 feed. You can leave a response, or trackback from your own site.